Gotham is the best series I’ve ever watched, can’t wait for season 4! Worked many years in TV and films. Blown away by Gotham. Best TV series I’ve seen in years. And I’m 73. I was sleeping on this show but I started watching it on Netflix and now I’m addicted. Now all my friends and family watch it with me..
Can’t wait till this piece of **** is canceled. AWWWW….SORRY, you’re going to have to wait a LITTLE longer since this FANTASTIC show just got a fourth season in May. There are only 2 weekly sitcoms my wife and I watch religiously. They are are Gotham and Sleepy Hollow. We are not happy they split the nights they are on up. But we still schedule around the shows. Dude, sitcoms……SERIOUSLY? Too bad Sleepy Hollow canceled. 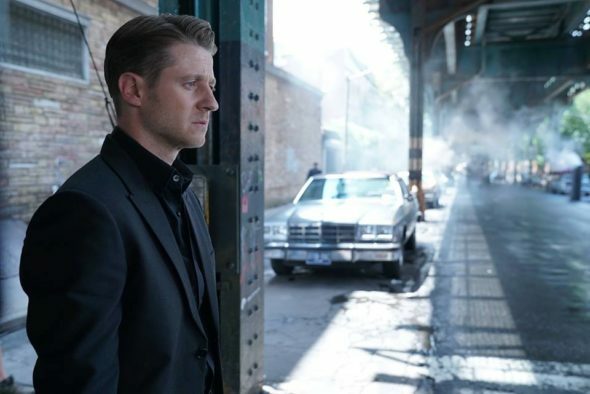 I am obsessed with the TV show Gotham! I look forward to it every weeks I would be heartbroken if it was canceled. I’m always introducing it to family an friends to help get the views up. But I love this show an itits characters sooo much! Please do not cancel this great show!!!!!!! My husband and I look forward to it!!! Watching the Characters grow into who they are now was awesome. I cant wait for season 4, now that they have Direction it can only get better from here. No more baby bruce, We now have the Batman. Gotham is an excellent show and is just getting to the good stuff. Definitely renew! All good news continue don’t be hater hoping goes up to 10 seasons it very got to be good shows for prequel story Gotham.